Apparently there are 16 pieces of content in the works for the game which will be bundled into a few packs. And in case you’re wondering, yes, that includes horse armor. Read on for the official details, DLC release schedule and a FAQ. CD PROJEKT RED, creators of The Witcher 3: Wild Hunt, the next-generation, open world fantasy RPG hitting stores February 24th, 2015, is excited to unveil their FREE DLC program for the game. 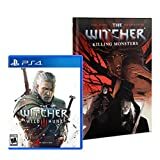 The FREE DLC program for The Witcher 3: Wild Hunt consists of 16 entirely free DLCs, that will be available for every gamer owning a copy of Wild Hunt, for Xbox One, the all-in-one games and entertainment system from Microsoft, PC, and PlayStation 4, and is applicable to all versions (digital or physical, standard or Collector’s). On February 25th CD PROJEKT RED will release the first bundle of DLCs (2 of the planned 16) — the Temerian Armor Set (horse armor included) and a Beard and Hairstyle Set for Geralt, the game’s protagonist. After this date, a DLC bundle consisting of two DLCs will be published every week, entirely for free. Gamers are entitled to the free DLC regardless of obtaining the game via pre-order or after launch. Instructions on how to obtain DLCs on specific platforms will be provided at a later date. For additional details about the 16 FREE DLC program, please refer to the below Q&A and CDP RED’s co-founder Marcin Iwiński’s Open Letter. Q: What do I have to do to receive the 16 free DLCs? A: The only thing you need to do to receive the 16 DLCs is purchase The Witcher 3: Wild Hunt. All of the DLCs will be available for free on every platform (i.e. Xbox One, PC, and PlayStation 4). Q: Do I have to pre-order to get the free DLCs? A: No, each piece of content will be available for download regardless of you buying the game before or after launch on February 24th, 2015. Q: I have the standard version of the game (i.e. not the Collector’s Edition). Do I still get the free DLCs? A: Yes. You get the 16 DLCs regardless of the version of the game you bought (i.e. standard or Collector’s, digital or physical). Q: What’s the plan? When can I expect the DLCs to be released? A: The plan is to release a new DLC bundle (each bundle contains two DLCs) on a weekly basis, following the game’s launch February 24th, 2015. The first DLC bundle will be released the next day on February 25th. The next bundle will be available for download a week after that, on March 4th, the next on March 11th, and so on. The first bundle will contain the Temerian ArmorSet and a Beard and Hairstyle Set for Geralt. The second bundle will contain an additional quest and an alternative look for one of the game’s main characters — Yennefer of Vengerberg. A: You can find more details on thewitcher.com. At this moment, four DLCs (two bundles) are revealed. The remaining DLCs will be unveiled each week after launch.